Plantscape Solutions has experience in all aspects of hardscape design and construction. 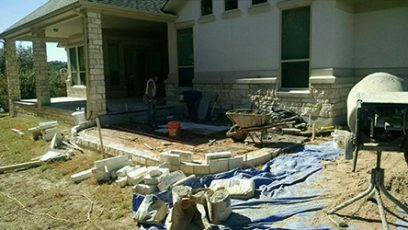 If your front or backyard hardscape project requires stone, brick, stucco, or CMU block construction we have the expertise to make your project a lasting reality. 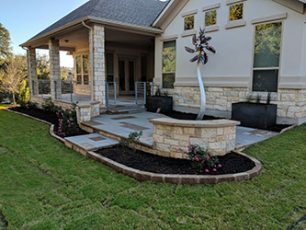 From simple stone flower bed borders, to fire pits, to large retaining walls, we have extensive experience in all aspects of hardscape design and construction in the Austin metro area. 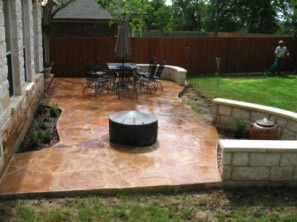 Our head mason, Roland Del Toro, has over 30 years experience and understands the hardscape design and construction techniques required to make your project easily withstand the test of time. Every hardscape design project is evaluated to insure we over engineer the aggregate base material, reinforcement, and holding capacity of the Portland Cement base or footer. 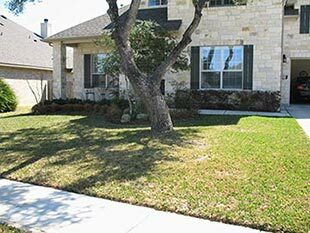 The clay soils found in Austin area have the ability to expand and contract and can be very destructive. 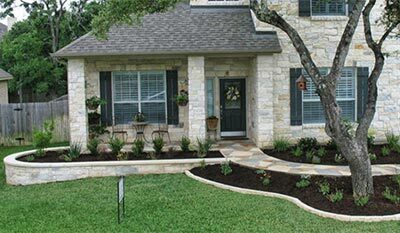 Call Plantscape Solutions today for an estimate by one of the finest hardscape designers in Austin, TX. Our hardscape designs always include proper site prep and the use of proper base materials that are compacted to prevent settling. 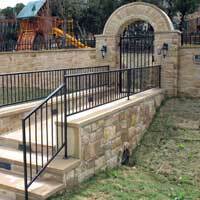 Poor site prep and a lack of proper base material are the number one cause of failed walls, patios, and other hardscape design features. It’s much cheaper to build something right the first time. There are lots of guys out there claiming to be masons who really don’t fully understand the engineering that needs to be built into every hardscape project. 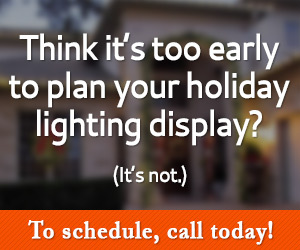 In the Austin area, we get calls to look at problematic hardscape features built by other companies on a regular basis. Most of the time we have to give people the bad news that the project they invested thousands of dollars into is a total loss. It’s much less expensive, and far more cost effective, to use a reputable company to build your project the right way the first time.